competitive priced tree stand that offers an unlimited lifetime warranty. That itself says a lot to any hunter. 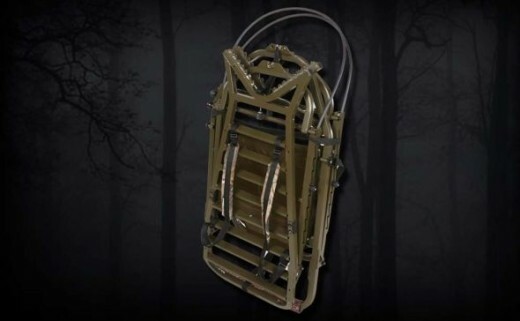 The sling type seats are made with a non-stretch fabric so they don't absorb water and are quiet to the touch and will keep you comfortable for as long as you want to hunt. The hang on stands are super light with an aluminum platform. Extra hang on brackets can be purchased to really make this stand portable. Hang the brackets on different trees and carry your stand in with you. You wont have to worry about buying a new tree stand for every location you want to hunt. 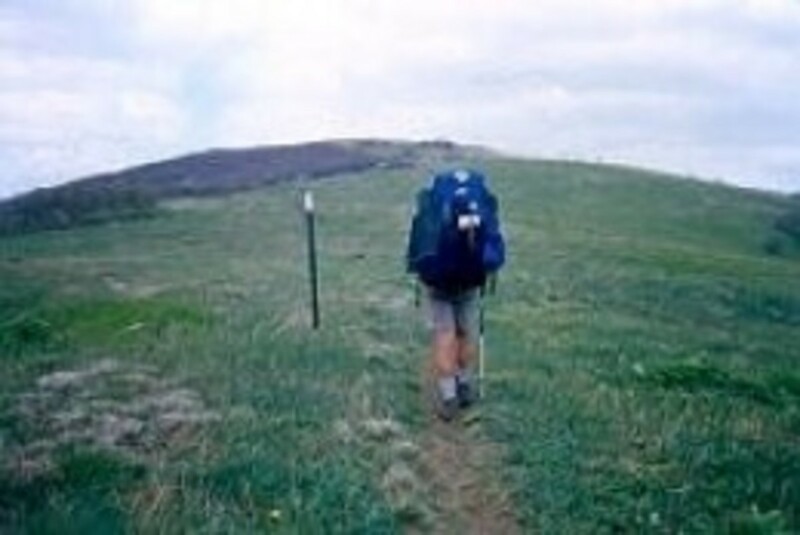 The ladderstands are made of welded steel for years of use and abuse. 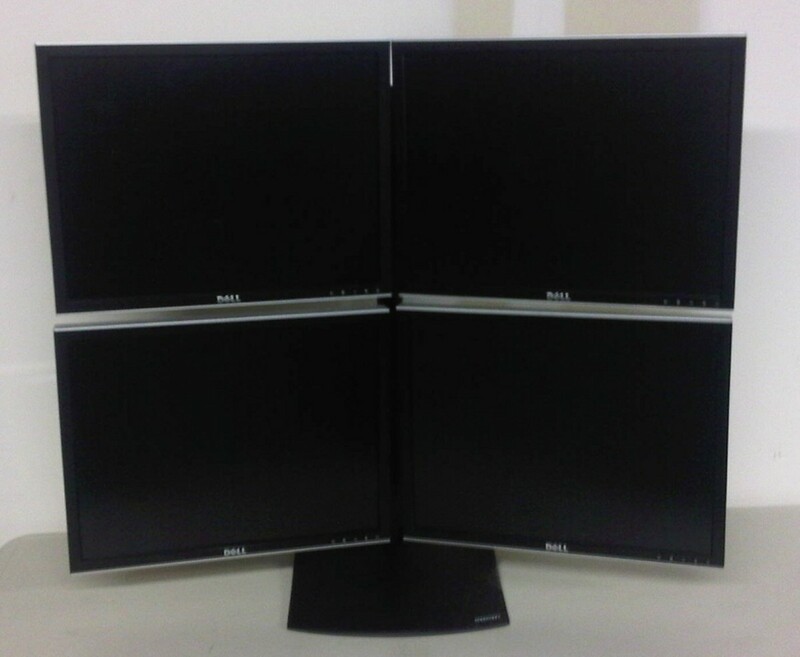 The fold flat design makes them easy to set up and transort. The climber stands are definitely unique. The seat and the platform can be adjusted as you climb to keep you level al the way up the tree. 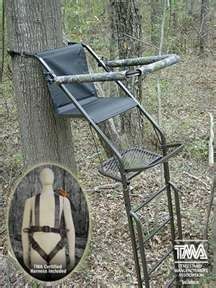 Millennium M100 is an all aluminum hang on style stand with a powder coated finish, ComfortTech tight sling seat that folds flat against the tree and comes with a full body harness. The platform is 20 x 38, seat is 17" high, 20" wide and 17" deep, it weighs 14 lbs. and has a 300 lb. weight limit. Safety harness included. Platform in Realtree All Purpose Green camo. 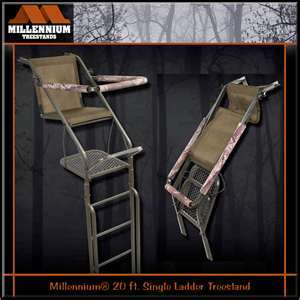 The Millennium Treestand by Hunting Solutions. Sturdy, easy to hang and comfy as can be! 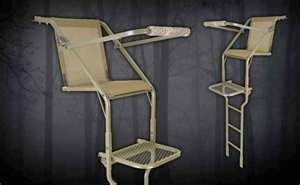 Sit atop whitetail country with confidence on this top o' the line Treestand! 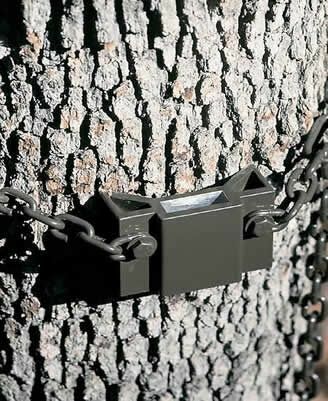 The Millennium is handier than most treestands you've seen because it consists of only 2 parts... a special cam-lock receiver that chain mounts to the tree and a lightweight, 1-Pc. folding stand that fits into the receiver for a super sturdy perch that'll give you the advantage to bag the big one! Unlike some heavy, clunky treestands, the easy to transport Millennium weighs in at approx. 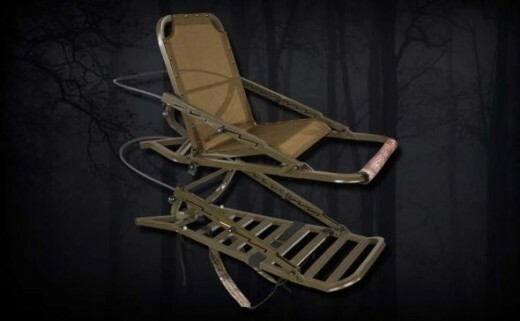 15 lbs... and because it's made of strong aluminum it can support the weight of "big boy" hunters up to 300-lbs.! Includes a TMA certified safety harness, too! If you have multiple stand locations for your Millennium Hang-On stand you need Hunting Solutions Millennium Cam-Lock Receiver Bracket. 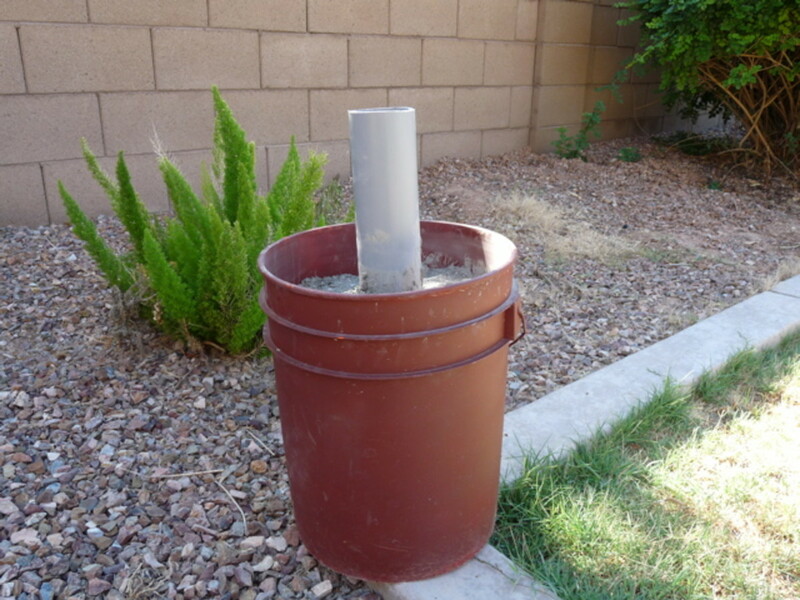 Install to every tree where you want to use your Millennium stand. Then, when it comes time to hunt, all you'll need to do is attach your stand to the receiver. Millennium L50 is a welded steel constructed ladder stand that features a powder coat finish, quiet east set up, adjustable padded shooting rail/arm rest and a ComfortTech tight sling seat. The platform measures 20 x 19, the seat is 16 high and measures 20 x 17, height is 16` , weight is 55 lbs. and has a weight limit of 300 lbs. 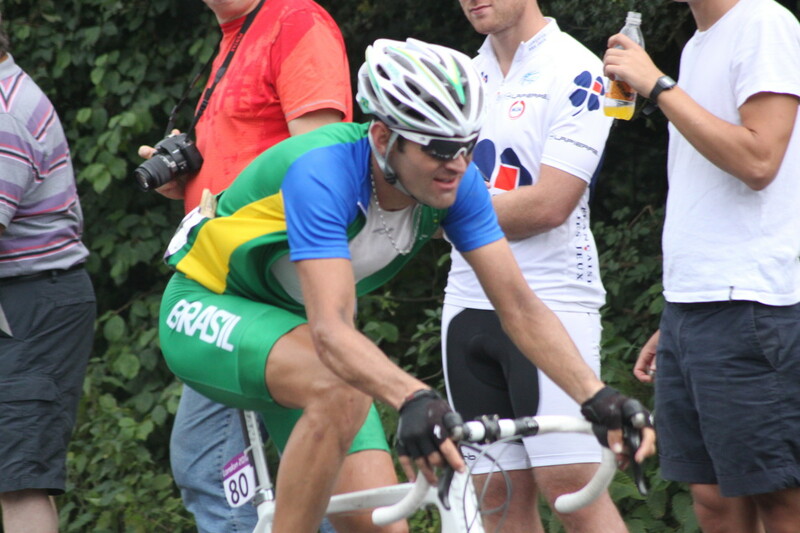 per manufacture. Safety harness included.